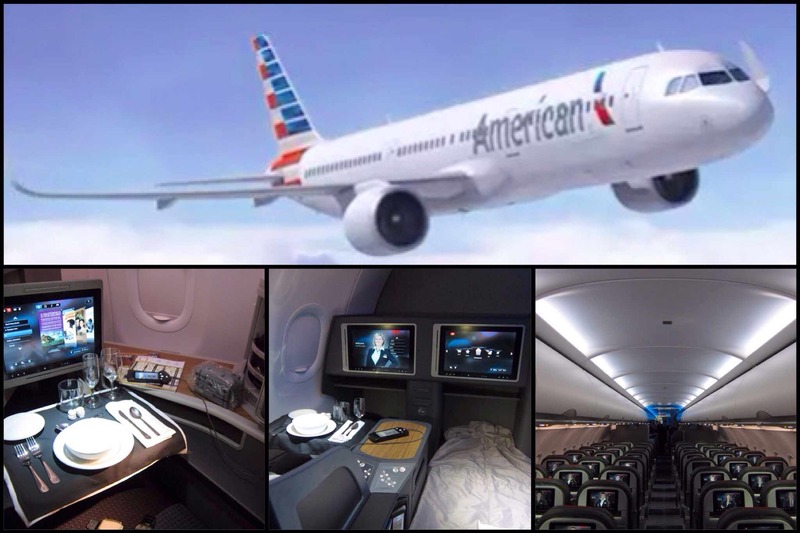 American Airlines revealed their new Airbus 321 Transcontinental (A321T) aircraft and simultaneously we realized all the good American has been up to during their massive re-branding and merger effort. This will be your new must fly domestic luxury route between Los Angeles (LAX) or San Francisco (SFO) and New York (JFK), and by new, we also mean nostalgic, as they have brought back the class and luxury from the flying glory days of past. ManAboutWorld Correspondent Paul Teixeira recently visited San Diego with his fine-tuned ear to the ground for what’s new and exciting and worth traveling for. Rich’s nightclub in San Diego, CA is one of the longest running and favorite gay circuit clubs in the city, and quite possibly even in California. This large two-room venue holds constantly updated state-of-the-art sound, lighting, and effects along with numerous regular and special themed parties all throughout the year. Oh, and did I mention they have a super hot staff of bartenders and gogo boys? This past Saturday, Feb 22, 2014, was one of their semi-regular military themed parties called “Active Duty.” San Diego has a relevant current and past history of local military service, and this party both honors that and satisfies the hot gay military fantasies many of us have. It was extremely satisfying to see how the repeal of “Don’t Ask, Don’t Tell” has propagated into daily life. Rich’s asks, and the military personnel proudly tell, showing their IDs to get in for free. The club is transformed and decked out with a military themed atmosphere and even has a body painter on staff for those wanting a little camouflage. Check out their facebook profile for details and great pictures of all the fun this club brings to town. We recently spent six fabulous nights in Paris as part of our 87 day round-the-world trip, and thanks to the exclusive ManAboutWorld Paris guide, we had the inside track knowledge which made it that much easier to have an amazing time. We must post about some additional nightlife discoveries to add to your choices. We found the newer club FREEDJ to be our favorite for most any night. They have hot friendly bartenders and a great looking clientele, both locals and visitors. On Fridays, Saturdays, and Sundays, they open their downstairs brick arched underground dance club to get down with some of the best current pop remixes. 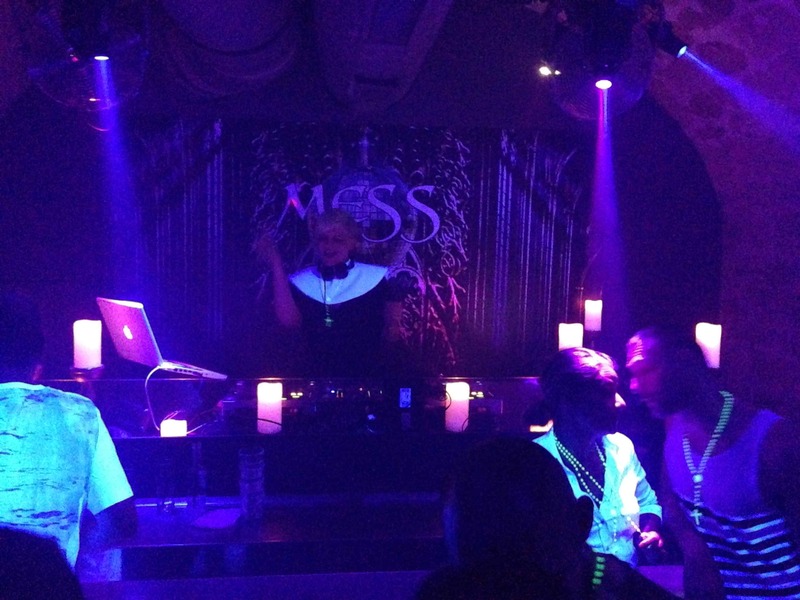 Sunday is their creative church themed “MESS” party with glow rings and glow rosaries, candy communion like wafers, bartenders in custom shirts and costumes, and a nun dressed DJ. This party goes until 3AM, and if you still have it in you, the staff and friends may take you to the locals after party at L’Enchanteur. You’ll get to go until 7AM at this Dance/Karaoke bar and party with most of the locals and staff at the bars in the area. Get yourself to Paris and enjoy some of the best and varied gay nightlife in Europe! But, but, but … I’ve never! ManAboutWorld’s March 2013 issue has an impressive and informative exclusive on Gay Japan, including a long weekend article on Tokyo. For our first visit to Tokyo we relied heavily on this article and we were not disappointed. If we were to add anything to supplement this article, it would be that even though you will be promptly and completely overwhelmed with sensory input, complicated city navigation and a myriad of choices for everything, the city and its people are extremely pleasant, orderly, and helpful. Taking care to plan what you are doing and looking for help will quickly show that it is actually not that difficult at all, even for first time visitors. The time has come and we are all packed for our 87 day journey. You are probably wondering how one packs for something like this and we think the answer is simple; We are traveling light and with 24 flight segments, we don’t want to mess with checking luggage. So we have 1 international carry-on each and a travel back pack. 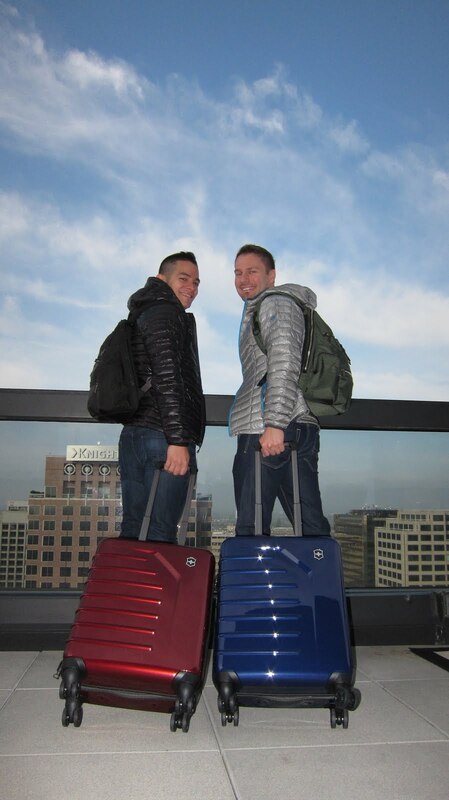 Of course we opted for style (and function) each getting a Tumi Alpha Bravo Knox Backpack and a Victorinox Spectra carbon fiber carry-on. We’ve condensed down to the TSA approved liquids and grooming gear, an assortment of all the meds we may need, and since we have accommodations with laundry facilities, carefully selected clothing for a week (An ultralight down hoody, 6 T-shirts, 2 polos, 1 tank-top, 1 button down, 2 shorts, 3 jeans, 1 slacks, 1 workout attire, 10 socks/undies, 1 belt, 1 sneakers, 1 semi-formal shoes, 1 board-shorts, and of course 1 speedo). Bon voyage! Follow their travels here and on their blog, http://rtw87.blogspot.com/. We have 6 weeks in Europe included in our 87 day RTW trip, and here’s how we planned them. We started listing some 18 cities and realized it was too dense. We’ve hardly been anywhere in Europe prior, and we know we will return, so we focused on more time per city. Our entry point coming from Bangkok is Vienna on May 16th, and we need to get to Stockholm on June 19th. See my previous post for how this fits into the world journey. We have 1st class rail passes so we can enjoy the European landscape, but longer hops we are doing with flights. We also are centering weekends on the cities we feel may have bigger gay party scenes.